Those of you who know CSB are fully aware that he has some ideas and opinions on things. If you've ever asked for his input, you likely received quite a bit of information. It is one of the (many) things I love about him... he knows things about stuff, and if you ask he isn't afraid to tell you. This morning, I opted to wear my leather jacket to work. On my way to pick up my attendance sheets, I put my hand into my pocket and was pleasantly surprised to find two pennies tucked into the bottom. Although I am always fully aware those pennies are there awaiting rediscovery, I usually find myself surprised to encounter them for a split second. I rubbed the coins together, and spent just a moment noticing their texture. During the same space in time, a memory stirs from my subconscious. We were walking from Disney's California Adventure back to Disneyland and CSB quietly turned to offer me a penny. Knowing it was for my thoughts I demurely smirked and shrugged my shoulders, "oh... I don't know... but I'm keeping the penny." A few seconds of silence, a few steps more, then another penny was silently offered to me. This time I smiled, giggled, "is this one because now you want my two cents?" And the penny was tucked into my pocket next to the other. For nearly a year those pennies have stayed in the same pocket. Any time I tuck my hand in that pocket, they are a small reminder that someone out there truly cares what I'm thinking. They remind me that my silence speaks volumes. They remind me that communication can happen with only a look and a gesture. They remind me that any time I want it, I always have his two cents. 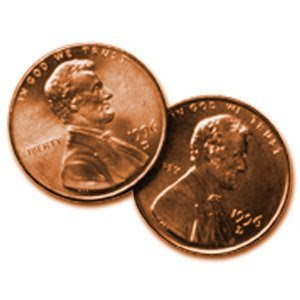 Even in these harsh economic times, two pennies may not have much value to others. But, for me, those two pennies are priceless.